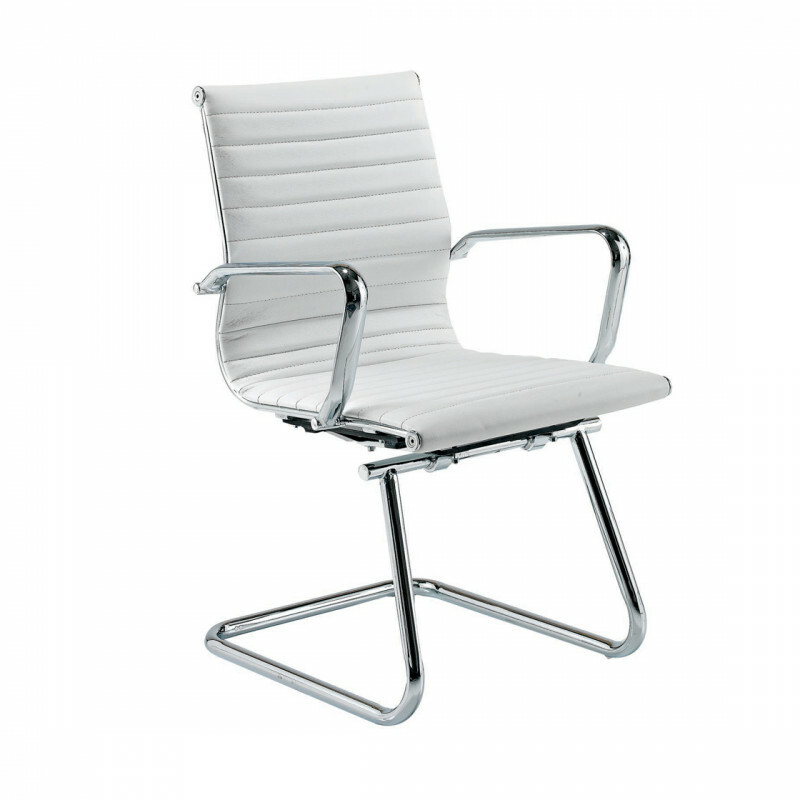 The Charles E. EA119 Aluminium Chair is one of the most recognised office chairs of our time. Built in 1958 by husband and wife team Charles and Ray Eames its modernist ribbed back style has been replicated many times over the years in an effort to re-create the iconic design. Our white Eames cantilever chair is a replica of the 60 year old icon. With its leather medium back ribbed design, metal base and arms it stands out as a truly stunning office chair. If its style you’re looking for then this is the office chair for you. Pair with white desks for a fresh contemporary look to your office space.